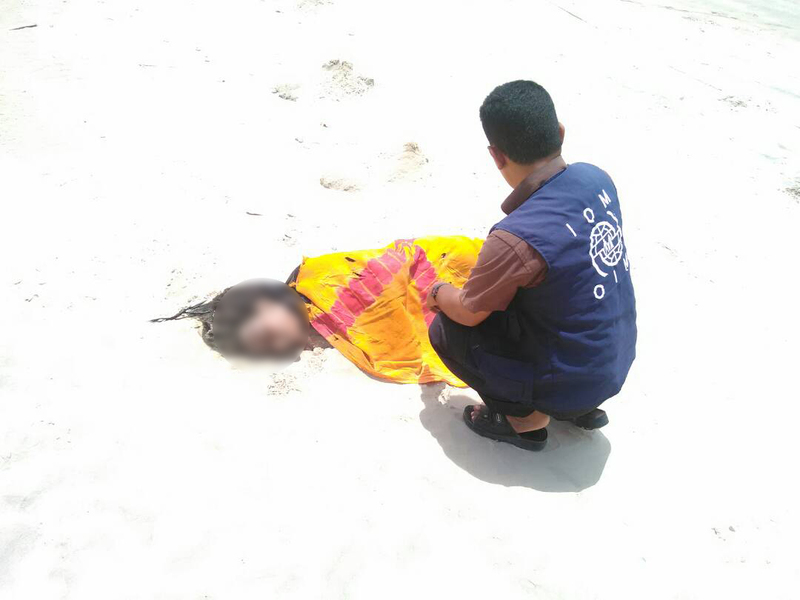 Shortly after the tragedy, staff from IOM, the UN Migration Agency, found the shallow graves of 29 migrants on a beach in Shabwa, during a routine patrol. The dead had been quickly buried by those who survived the smuggler’s deadly actions. IOM is working closely with the International Committee of the Red Cross to ensure appropriate care for the deceased migrants’ remains. 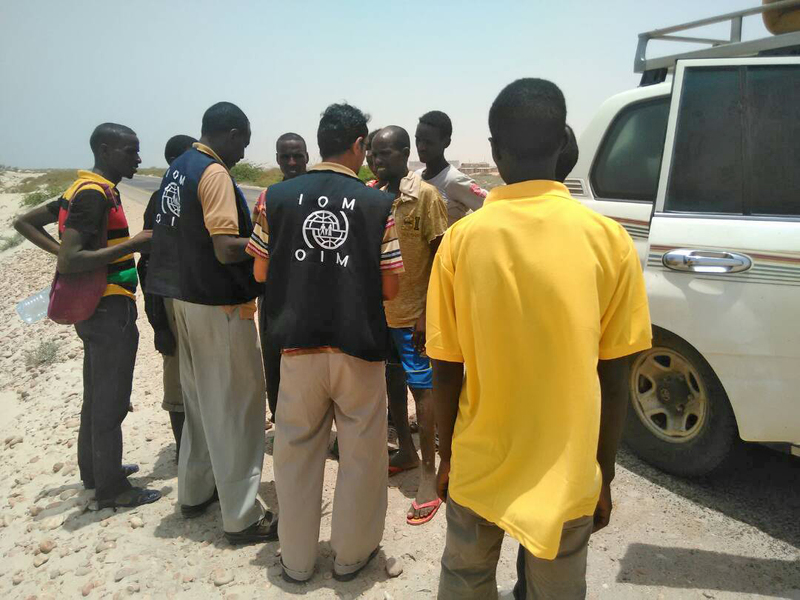 IOM’s medical staff also provided urgent care to the 27 surviving migrants, both females and males, who had remained on the beach. IOM provided initial health checks and assistance, including food, water and other emergency relief. Some of the survivors (approximately 42 in addition to the 27 survivors IOM spoke to) had already left the beach before being assisted. Twenty-two migrants are reportedly still missing and unaccounted for. The approximate average age of the passengers on the boat was 16. 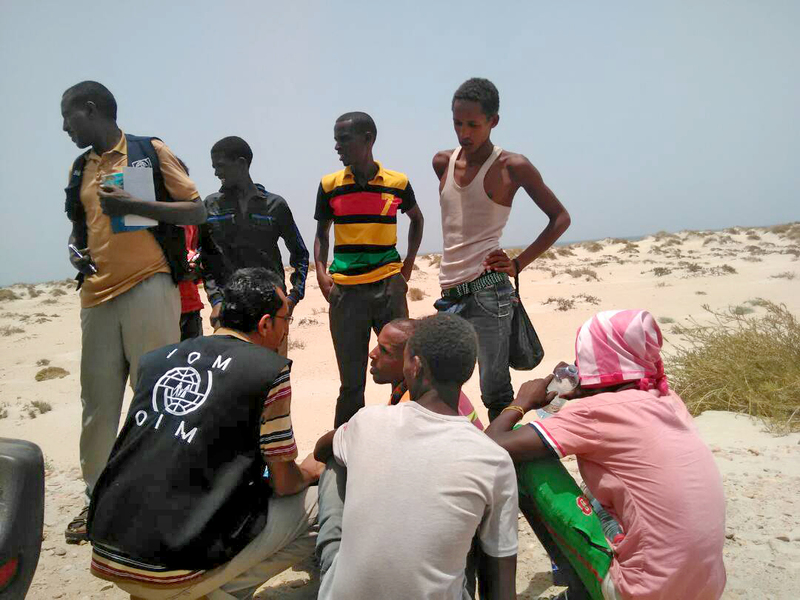 "The survivors told our colleagues on the beach that the smuggler pushed them to the sea, when he saw some ‘authority types’ near the coast," explained Laurent de Boeck, the IOM Yemen Chief of Mission. "They also told us that the smuggler has already returned to Somalia to continue his business and pick up more migrants to bring to Yemen on the same route. This is shocking and inhumane. The suffering of migrants on this migration route is enormous. Too many young people pay smugglers with the false hope of a better future," continued de Boeck.